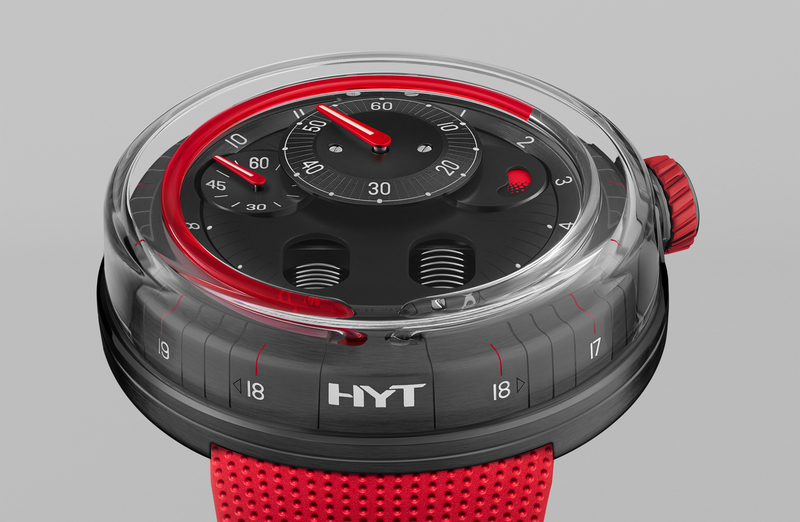 HYT will introduce a new version of their liquid-filled H2 timepiece at Baselworld. 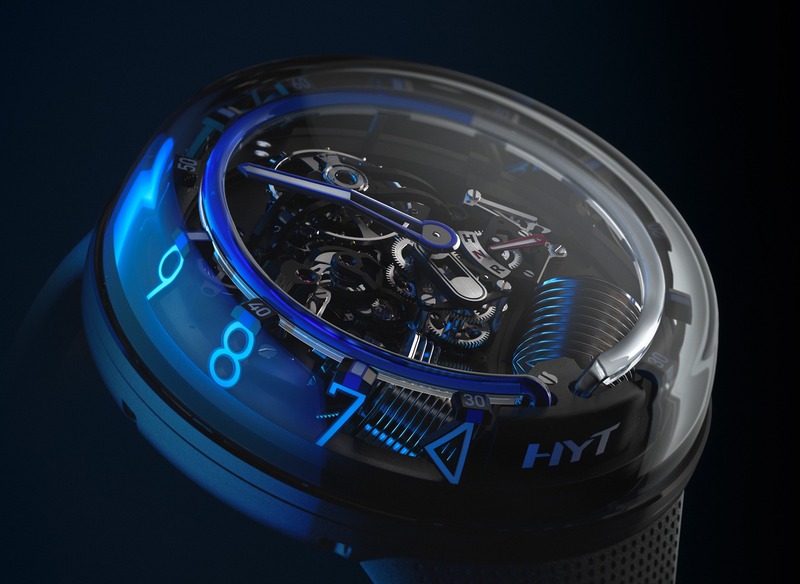 This time, the H2 has a new translucent blue liquid and is presented in a titanium & white gold case. 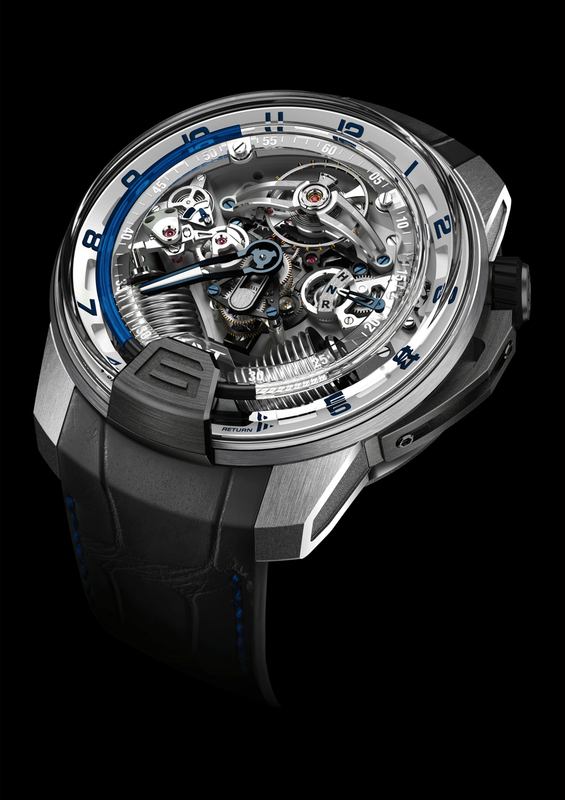 Apart from the case, liquid color and the new temperature gauge (in between 9 and 10 o’clock), which now has two stages instead of three – everything else appears unchanged from the original. 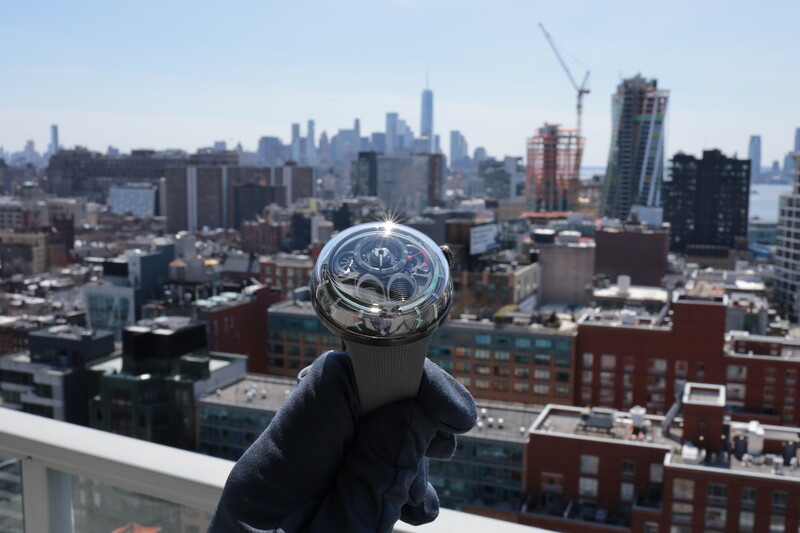 More details will follow, along with hands-on images at Baselworld.